One of the most enjoyable and rewarding parts of our job as remodelers is developing unique solutions for our clients. We routinely find ourselves carving out more room for storage, reconfiguring walls to improve flow, and reworking spaces to make them more reflective of how our clients live. While we enjoy all of our projects, every now and then one comes along that really lets us flex our creative muscles. 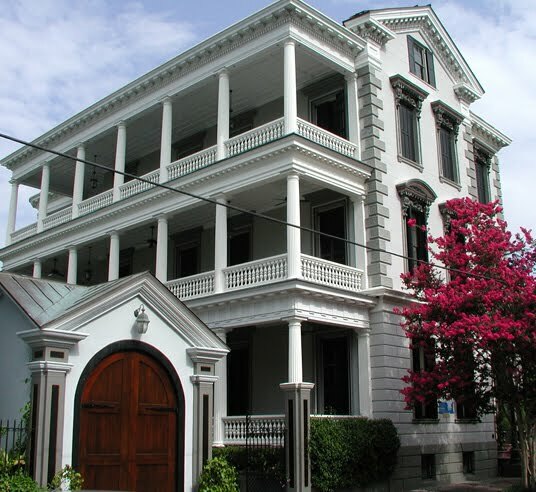 That’s what happened with this spectacular early 1800s Greek Revival mansion in the historic area of downtown Charleston. We were working on a large project that included rebuilding these beautiful porches, and our client asked us about a solution for her children’s bedroom. The five-year-old twins, a boy and a girl, needed to share an existing space to be close to the master bedroom. The client’s initial plan was to partition the room, but when we looked at the space we realized there were many challenges involved with going down that road. As is typical in Charleston’s grand historic homes, the ceilings in the room were 11 feet high. 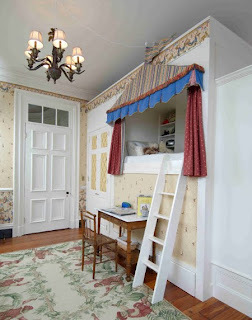 To partition the room would have required us to remove a doorway opening 9 feet four inches tall (with transom) along with the intricate moldings around it. We would also have had to interfere with the room's plaster crown moldings and very large wood baseboards. Besides the possibility of these details never being replaced, the final floor plan would have been very awkward, requiring a person to walk through another bedroom to gain access to the bathroom. Realizing this was not the best plan, I told my client she was a steward of the property, and as such she should not do the project she had requested. I thought I had offended her so badly that I would never hear back from her. But after thinking about it over the weekend, she called me back to find another solution. And we did – a fairy tale solution. Working within the existing room, we carved out spaces for each twin to call their own – a "princess" area for the girl, and a separate "knight's castle" area for the boy. Our carpenters built and installed the project in components, like furniture, and finished them out with decorative elements chosen by the client's interior designer. Everything was installed in such a way that when the twins are old enough to move to bedrooms on the third floor it can easily be dismantled, and the room restored to its original full size, with no more work than some touch-up paint. Needless to say, the client (and especially the kids) were thrilled with the outcome, as were we. And, of course, everyone lived happily ever after.